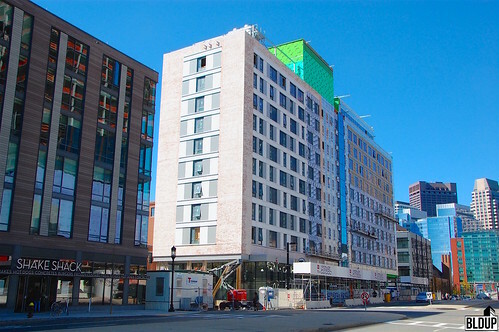 Boston's first Yotel is now open in Boston's Seaport District. 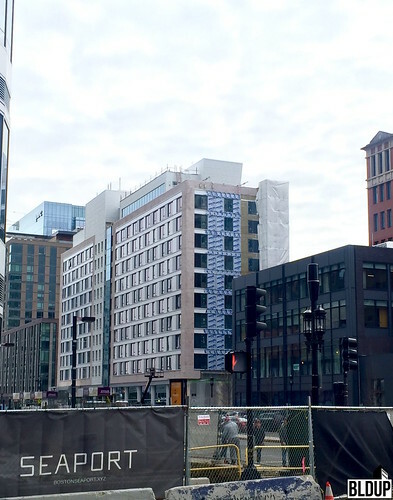 The building features 326 "cabins," approximately 180 square foot rooms positioned as an affordable option for business travelers. 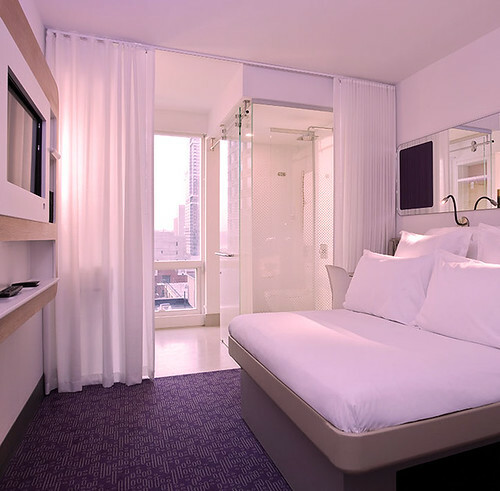 All cabins feature signature Yotel adjustable SmartBeds with luxury bedding, rejuvenating monsoon rain showers, relaxing adjustable mood lighting, many power connectivity ports and smart TVs connectable to guests' mobile devices. "Super-fast" Wi-Fi internet is available throughout the building. 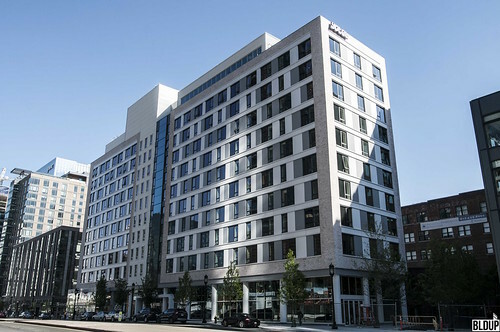 Amenities at Yotel Boston include multiple food and beverage venues, a signature ground-floor Club Lounge with space for relaxation, co-working, casual dining and meeting, a 24/7 fully equipped gym and an expansive 12th-floor indoor-outdoor Sky Lounge rooftop terrace and bar with stunning panoramic Boston skyline views open year round. 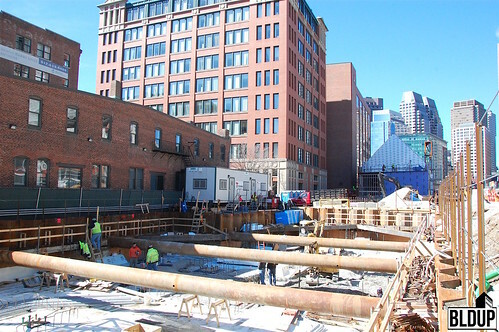 Yotel Boston features direct access to MBTA Silver Line rapid transit with direct service to Logan Airport. 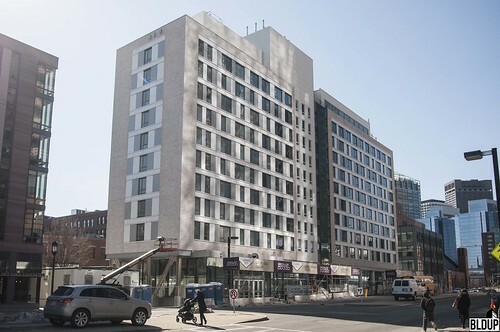 Yotel Boston is Yotel's second United States hotel after Yotel New York.